The Magnet For Mobile Covers from the house of shree shakti industries works has a promise of complete industrial quality in the form, design and engineering. 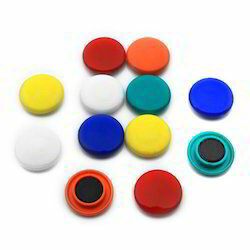 We manufacture these Magnet For Mobile Covers using quality material which is procured from reliable & trusted vendors. These are offered at industry leading prices. It is generaly Used in Mobile cover, Purse, wollate. Looking for Magnet For Mobile Covers ?